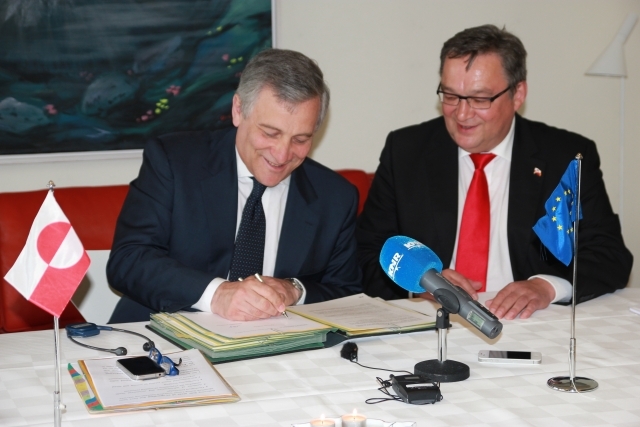 In an effort to secure access to critical metals and minerals for its industries, European Commission representatives Antonio Tajani (Vice President), and Andris Piebalgs (Commisisoner for Development Cooperation) have signed a letter of intent on cooperation with Greenland’s Prime Minister Kuupik Kleist. •58 % of exploration companies currently operating in Greenland are Canadian or Australian, and only 15% are European companies. •These companies at present only have very limited involvement in on-going exploration activities and own only a few exploration licenses. While other global players are already implementing their overhauled mineral strategies reflecting new geopolitical realities, the U.S. has yet to formulate its own strategy. Unfortunately, as the new American Resources Critical Metals report points out, U.S. government agencies can’t even agree on a definition of what constitutes a critical mineral – which does not bode well for a strategic overhaul that is long overdue.